Drifting through Australia's Great Barrier Reef, Alanna Greene found herself surrounded by unparalleled scintillating beauty. For three days she was immersed in a world of coral, sea turtles, and a multitude of tropical reef fish. Here is a snapshot of the wonders below. the green sea turtle glides over the edge of the reef. these majestic creatures are typically trusting and docile in the presence of people. two CURIOUS clownfish poke their heads out of a sea ANEMONE. both organisms are an example of a symbiotic relationship. the clownfish protect the anemone from potential predators, and in return they are provided with a safe pLACE TO RESIDE IN. in the early morning hours , a sign of life is spotted on a piece of dying coral. This life comes in the form of a sea slug, commonly known as a nudibranch. 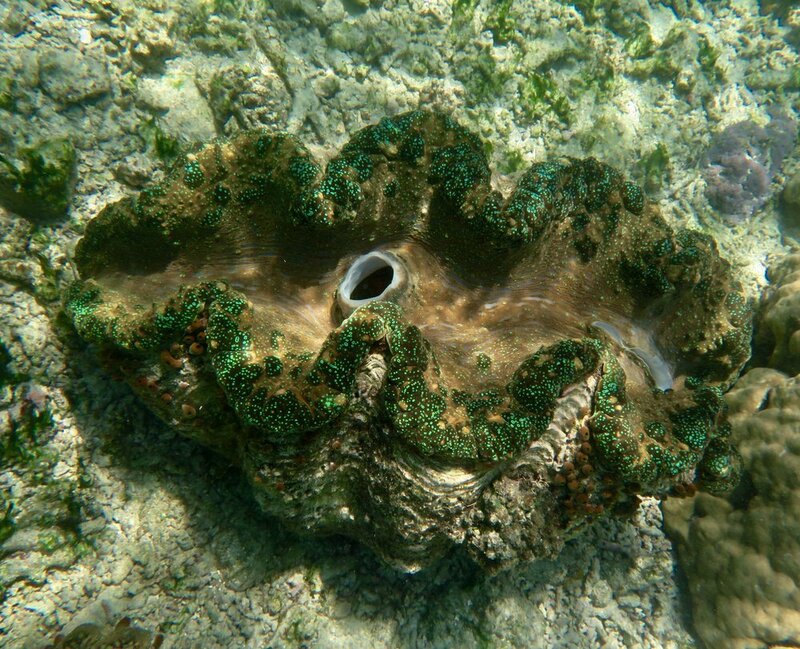 A Giant clam resdies on the bottom of the reef. Clams ares sedentary filter feeders, siphoning in water and then filtering out nutrients for food. A Feather star finds its home on a group of coral on the reef. during low tide, Australia's moreton island is full of sea stars that wash up on shore. these damselfish are abundant within tropical reef systems, and will gladly nip on swimmers in order to guard their feeding grounds on the coral. coral gardens is a fitting name for this part of the reef, booming with brain coral and carpet anemone. This sea cucumber is a suction feeder, latching onto a nutrient-rich spot and taking in food. The sun sets on the Great barrier reef, inviting inconspicuous marine life out who thrive in the dark.